Illuminati Unlimited: Shock pictures: Is this what the Canadian government means by 'humane' slaughter? 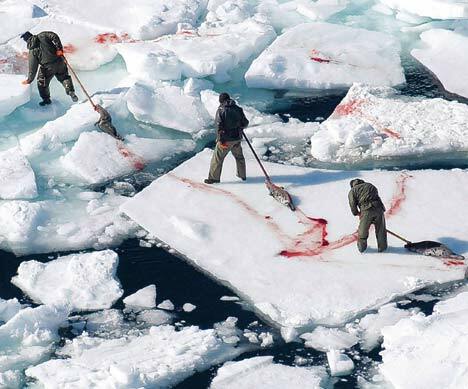 Shock pictures: Is this what the Canadian government means by 'humane' slaughter? The baby seal looks into the eyes of her executioner. Barely a flicker of emotion shows on the fisherman's face as he smashes a steel-tipped club into her mouth. She lies whimpering on the ice, blood pouring from her jaw and nose.